The Insider Monkey team has completed processing the quarterly 13F filings for the September quarter submitted by the hedge funds and other money managers included in our extensive database. Most hedge funds have been producing disappointing net returns in recent years, however that was partly due to the poor performance of small-cap stocks in general. Well, small-cap stocks finally turned the corner and have been beating the large-cap stocks by more than 10 percentage points over the last 5 months.This means the relevancy of hedge funds’ public filings became inarguable, as they may reveal numerous high-potential stocks. The following article will discuss the smart money sentiment towards Masonite International Corp (NYSE:DOOR). Masonite International Corp (NYSE:DOOR) shareholders have witnessed a decrease in enthusiasm from smart money in recent months. 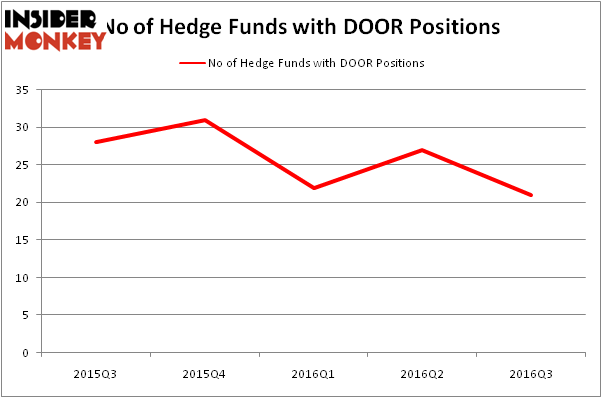 DOOR was in 21 hedge funds’ portfolios at the end of the third quarter of 2016. There were 27 hedge funds in our database with DOOR positions at the end of the previous quarter. The level and the change in hedge fund popularity aren’t the only variables you need to analyze to decipher hedge funds’ perspectives. A stock may witness a boost in popularity but it may still be less popular than similarly priced stocks. That’s why at the end of this article we will examine companies such as Noble Corporation (NYSE:NE), MicroStrategy Incorporated (NASDAQ:MSTR), and Rexnord Corp (NYSE:RXN) to gather more data points. How have hedgies been trading Masonite International Corp (NYSE:DOOR)? Heading into the fourth quarter of 2016, a total of 21 of the hedge funds tracked by Insider Monkey were bullish on this stock, a 22% tumble from the second quarter of 2016. Hedge fund ownership of the stock has been volatile, though trending downward throughout the past year. With hedge funds’ sentiment swirling, there exists a few noteworthy hedge fund managers who were upping their stakes considerably (or already accumulated large positions). According to Insider Monkey’s hedge fund database, 12 West Capital Management, managed by Joel Ramin, holds the largest position in Masonite International Corp (NYSE:DOOR). 12 West Capital Management has a $72.9 million position in the stock, comprising 10.5% of its 13F portfolio. Coming in second is Richard S. Pzena of Pzena Investment Management, with a $44.9 million position. Other peers with similar optimism consist of Jim Simons’ Renaissance Technologies, Phill Gross and Robert Atchinson’s Adage Capital Management and Shashin Shah’s Think Investments. 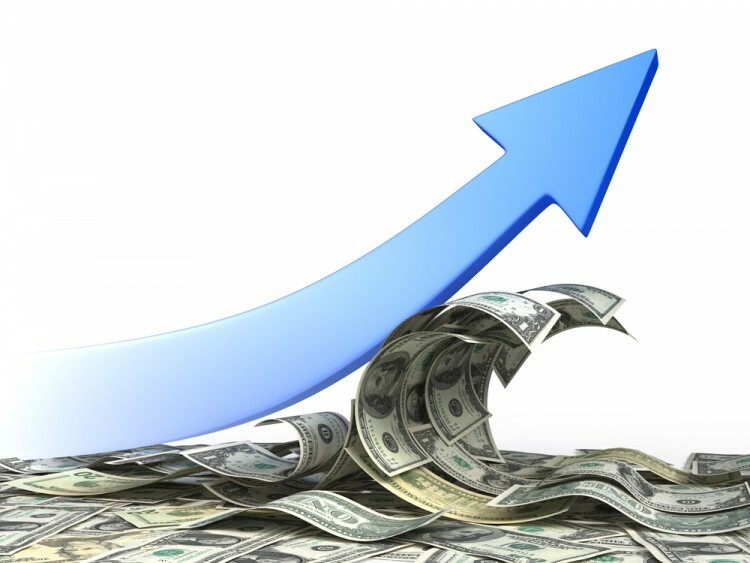 Hedge Funds Are Powering Up On Nextera Energy Partners LP (NEP) Should You Follow Hedge Funds Out Of ArcelorMittal SA (ADR) (MT)? Is American Airlines Group Inc (AAL) The Right Pick For Your Portfolio? Mitel Networks Corp (MITL): 73% Surge in Hedge Fund Ownership Have Hedge Funds Found A Winner In New Relic Inc (NEWR)? Is Monolithic Power Systems, Inc. (MPWR) A Good Stock To Buy?